A Genealogy of Puberty Science exploresthe modern invention of puberty as a scientific object. 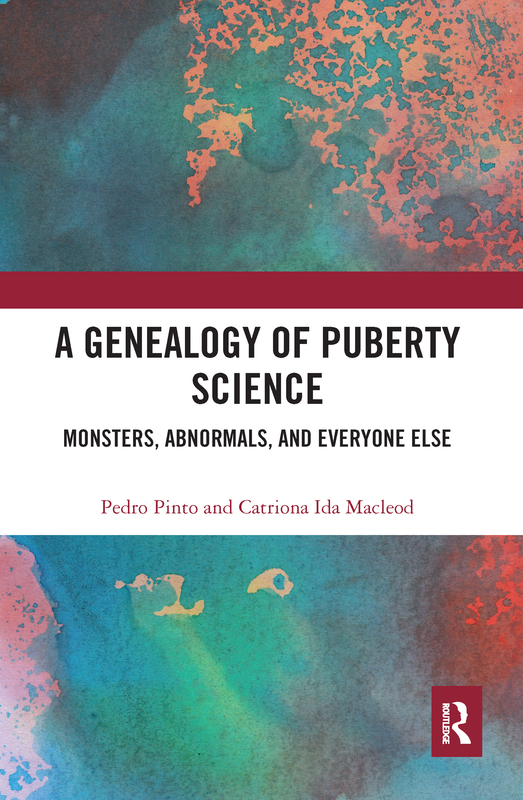 Drawing on Foucault’s genealogical analytic, Pinto and Macleod trace the birth of puberty science in the early 1800s and follow its expansion and shifting discursive frameworks over the course of two centuries. Offering a critical inquiry into the epistemological and political roots of our present pubertal complex, this book breaks the almost complete silence concerning puberty in critical theories and research about childhood and adolescence. Most strikingly, the book highlights the failure ​of ongoing medical debates on early puberty to address young people’s sexual and reproductive embodiment and citizenships. A Genealogy of Puberty Science will be of great interest to academics, researchers and postgraduate students in the fields of child and adolescent ​health research, critical psychology, developmental psychology, health psychology, ​feminist and gender studies, ​medical history, science and technology studies, and sexualities and reproduction studies.